The Hampton 700mm countertop unit adds a classic look and feel to any bathroom with its shaker style doors and side panelling. Built and painted by hand, the units feature magnetic catches for smooth door opening, internal shelf for practical storage and round chrome finished door knobs. 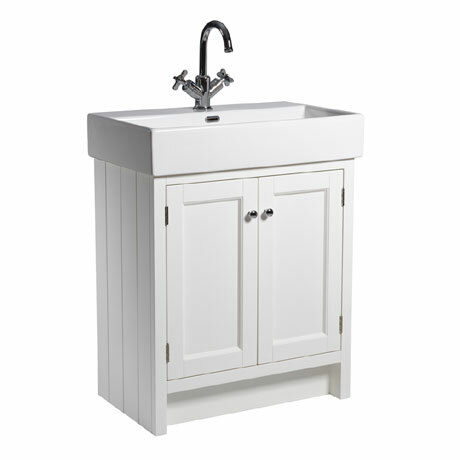 The countertop ceramic basin offers a large washing area and complements Roper Rhodes range of traditional basin mixers. Please note: tap sold separately. "Really pleased with this unit, it was a bit pricey but you get what you pay for quality."